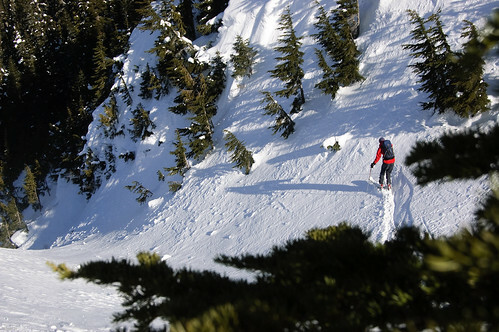 According to Justin and Paul, I have a knack for finding the best breakable crust in the Coast Mountains, and the type of snow where I never make tele turns. A nice tour up to a new place for me, and some fantastic views. 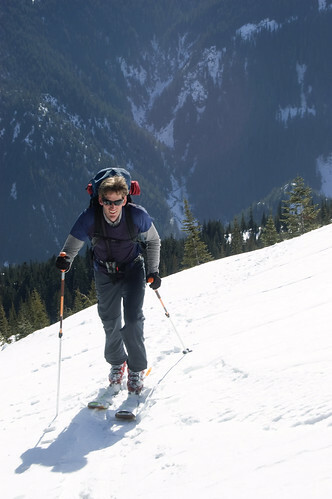 We went up the southeast ridge of Thar Peak, and then descended the north facing slopes down to Falls Lake. This would be a great run in better snow conditions. Justin anxious to get going. 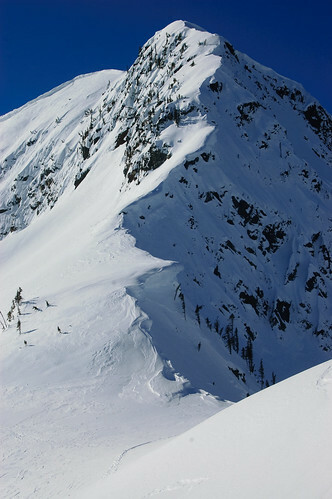 East ridge of Nak Peak, quite gnarly looking. 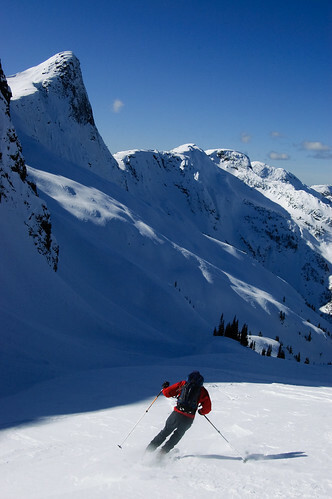 Paul wishing he was skiing powder at Blackcomb instead while climbing up this icy slope. 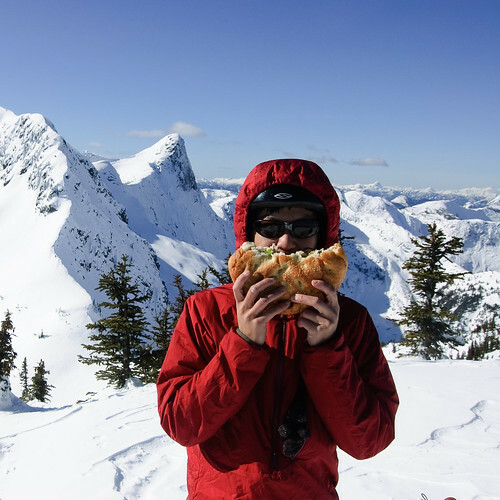 My sandwich at the top of Thar Peak on a sunny day on the Coquihalla. 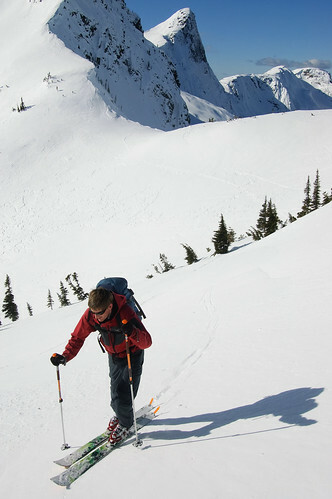 Paul making the breakable crust look like good skiing. The snow wasn't very good on the north aspects either, the northerly outflow winds pretty much ruined this run down to Falls Lake. 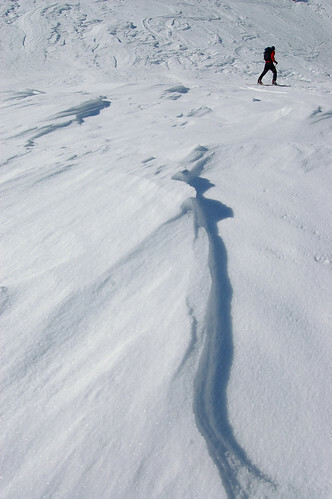 Eventually the run narrows a bit, and you start heading skiers right. Some great light as the sun rose over the Yak-Nak ridge. Paul at the entrance of a narrow gully at the end of the run down to Falls Lake. It wasn't in very good shape, and we probably sideslipped most of it. 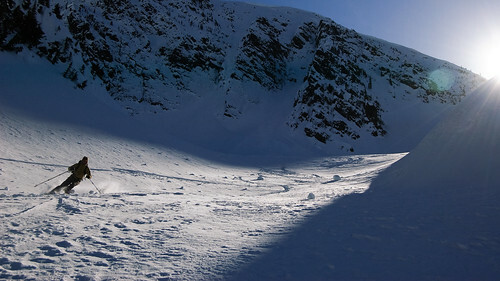 The terrain to the left and right of the gully looks quite steep and cliffy. 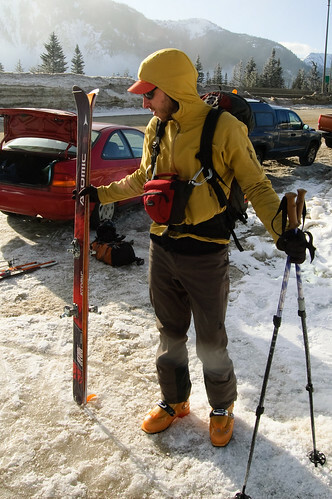 We skied out to Falls Lake and skied out to the car with plenty of daylight left. 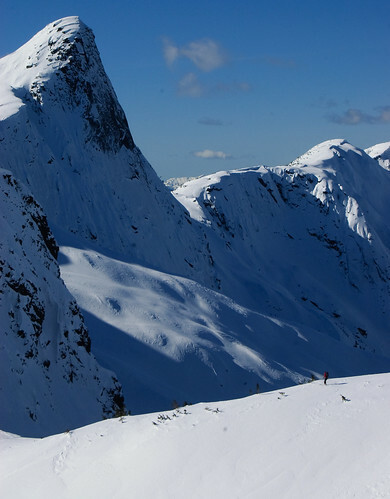 Labels: "Thar Peak" "backcountry skiing" "Coquihalla"